In the 1530s the high likelihood of war with France or Spain prompted Henry VIII to review coastal defence fortifications across England. 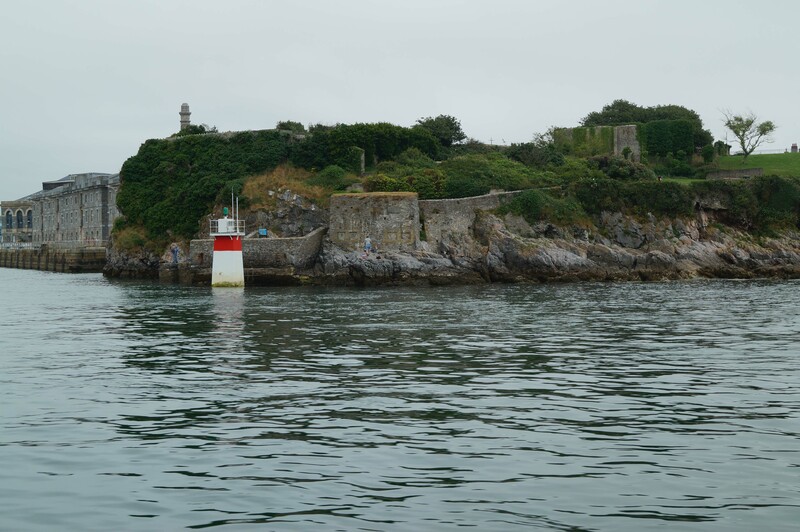 Plymouth Sound was deemed to have numerous vulnerabilities and according six artillery blockhouses were constructed to provide protection for Millbay and Stonehouse harbours. In the 1530s Henry VIII appointed himself supreme head of the Church of England, annulled his own marriage (to Catherine of Aragon) and plundered the wealth of the church. His actions caused outrage on the continent and relations with France and Spain, both super-powers, became fractious. In the years that followed, conflict with one or both of these countries seemed likely and accordingly Henry’s government commenced a review of coastal defence arrangements. This culminated in 1539 with a 'Device' (Act) for the protection of the realm which initiated the largest coastal defence programme since the Roman era. The work included construction of numerous castles as well as smaller blockhouses and earthwork forts. The defences of Plymouth Sound were assessed as part of this review and six blockhouses were built to address shortfalls; Mount Edgcumbe, Devil’s Point, Firestone Bay (Stonehouse), Millbay West, Millbay East and Fisher's Nose. The six blockhouses constructed around Plymouth Sound divided into three distinct schemes. Mount Edgcumbe, Devil’s Point and Firestone Bay were raised to protect Stonehouse, a manorial site and small harbour owned by the Edgcumbe family. The second scheme consisted of two blockhouses controlling access into Millbay, a natural harbour to the west of Plymouth (Sutton). 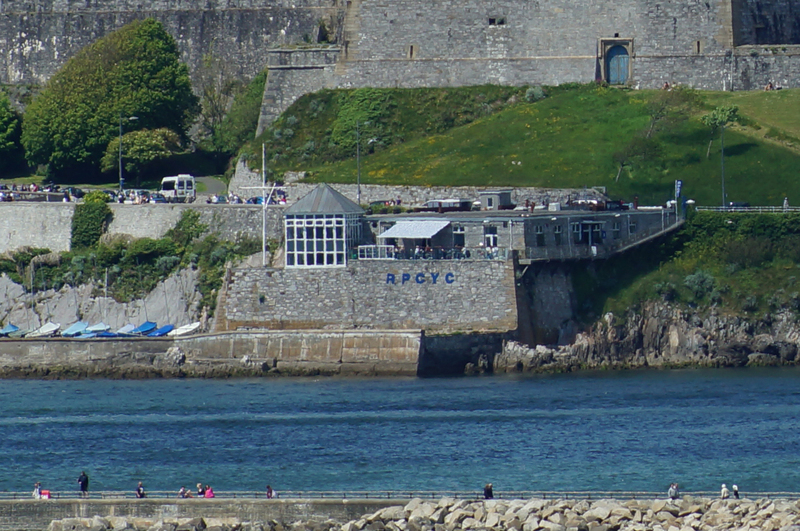 The final blockhouse controlled a small natural harbour at the foot of Plymouth Hoe. No new fortifications were built to protect Plymouth's primary harbour - Sutton Pool - as this was already dominated by Plymouth Castle. It is not clear precisely when work started on the six blockhouses but some or all may have pre-dated the 1539 programme by a couple of years. It is likely most of these towers were constructed by the Edgcumbe family but they probably received some form of state aid to incentivise construction. The earliest surviving reference to a blockhouse at Mount Edgcumbe dates from 1586 but it had probably been constructed no later than 1540. It was located on Wilderness Point, the north-east corner of the Cremyll peninsula directly adjacent to the 300 metre gap across the water to Devil's Point. The tower was a rectangular, single storey structure with three splayed gun-ports but it also had a flat roof on which light guns could have been installed. 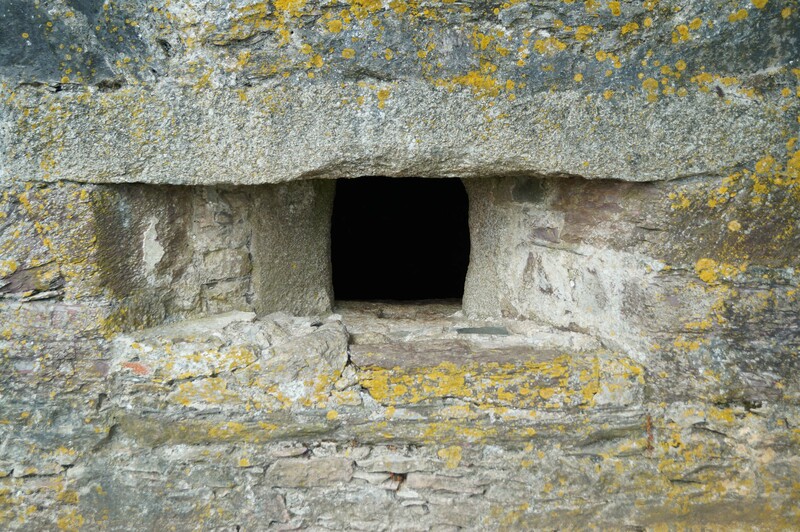 The blockhouse was accessed via a door on the landward side. The tower was refurbished in 1717 and in 1800 it was modified to support larger guns. During the Civil War, the blockhouse was occupied by Royalist troops and used to fire upon Parliamentary ships attempting to resupply the besieged garrison of Plymouth. It was briefly seized by Parliament in May 1644. The blockhouse's view of the sea was later obscured by Garden Battery. Devil's Point Blockhouse was constructed on the western most tip of a small peninsula. 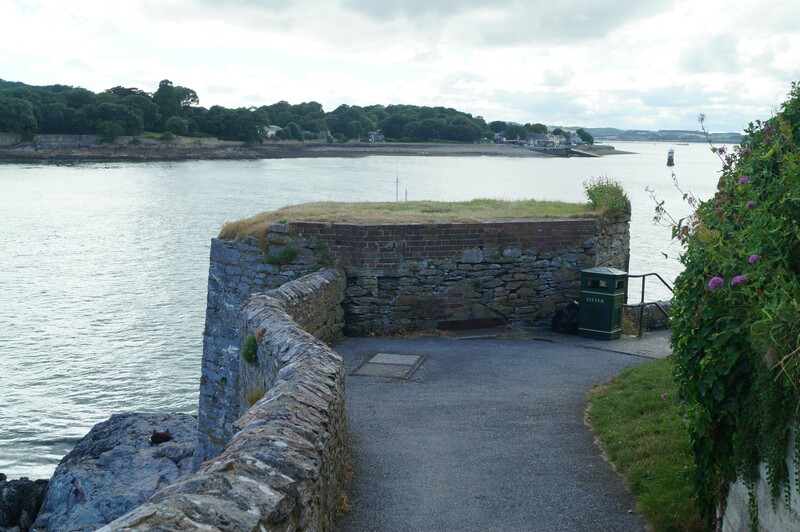 Directly opposite the tower at Mount Edgcumbe Blockhouse, it guarded the same 300 metre stretch of water - known as the Narrows - that provided access to Stonehouse harbour and the Hamoaze. 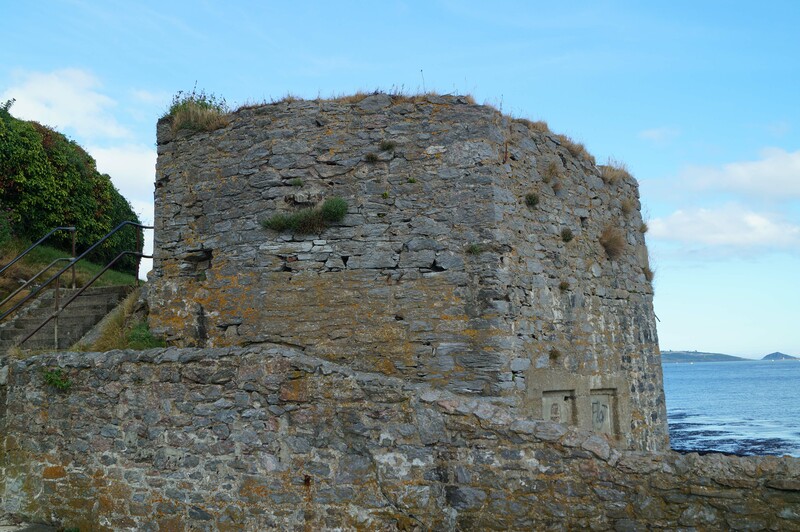 The tower was a two storey structure with four gun-ports facing to seaward and an access door on the landward side. It was constructed from rubble with granite ashlar dressings. The tower had a stretched octagonal plan, quite different from its sister fortification at Mount Edgcumbe, which suggests it was constructed by a different team. In 1902 a machine gun post was set-up in the blockhouse. Firestone Bay Blockhouse overlooks a beach and a small bay. It was built to prevent a hostile force landing there and assaulting Stonehouse which lay just beyond. The tower was a two-storey polygonal structure with gun-ports facing to seaward and an arched doorway providing access on the landward side. It was constructed from rubble with granite ashlar dressings. The tower was substantially re-modelled in the nineteenth century when the embattled parapet was added. The defensive role of the blockhouse was later superseded by the Kings Point Batteries and it is now in use as a cafe. 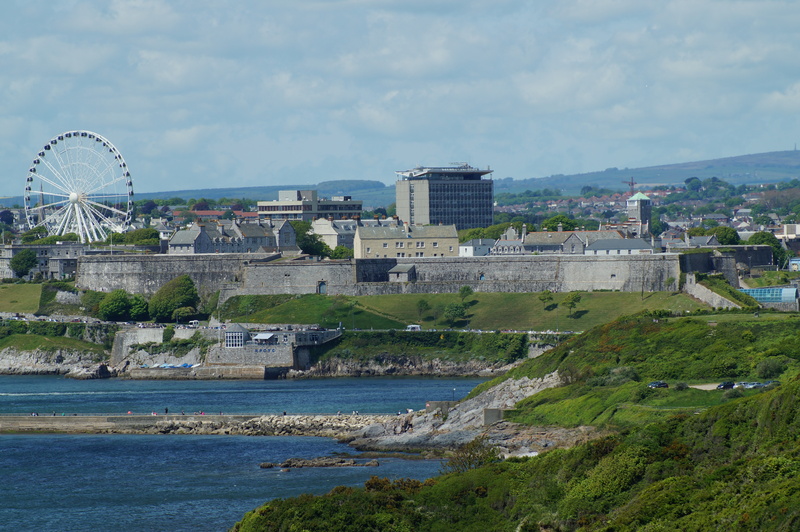 Two blockhouses were constructed to protect Millbay, a natural harbour sandwiched between Stonehouse and Plymouth Hoe. 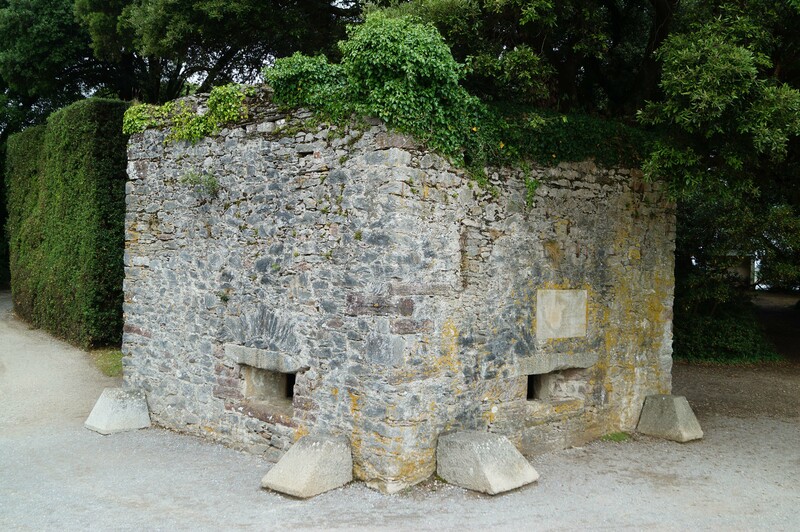 Millbay West (also known as Eastern King) Blockhouse stood in proximity to the site currently occupied by the Queen's Harbour Master. It was shown on a map dated 1540 but was demolished in 1868. On the other side of the water, Millbay East Blockhouse was located where the RNLI centre now stands. It was depicted as a single storey, crenellated structure on a map dated 1540. It was demolished in the mid-nineteenth century when work started on the Millbay Docks. Fisher's Nose Blockhouse, which is also known as Lambhay Point Tower, overlooks a small natural harbour directly below Plymouth Hoe and was constructed to stop a force landing there and making an overland assault on Plymouth (Sutton). It has some significant differences from the other blockhouses in the area and may have been built much earlier, perhaps in the late fifteenth century. However, it was re-armed and modified as part of the Henrican defences in the late 1530s/early 1540s. The tower was rectangular in plan and directly abutted the cliffs. It was constructed from limestone rubble with granite ashlar dressings. 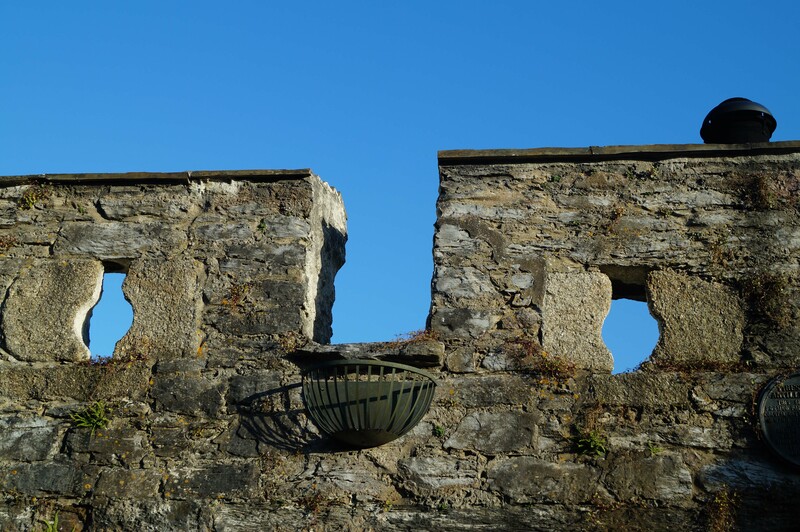 It was incorporated into the design of Drake's Fort when that structure was built in 1595 and was also retained when that fort was replaced by the Royal Citadel. 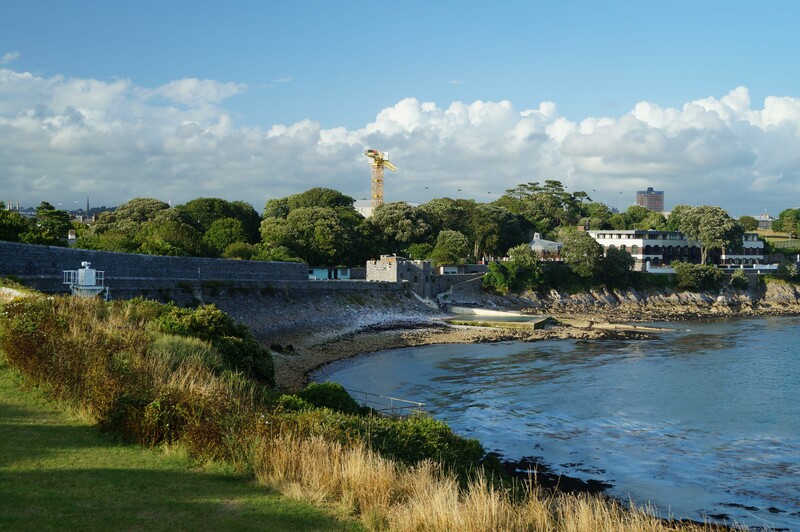 It was renamed Queen Elizabeth Tower in 1716, served as an Air Raid shelter during World War II and is now used by the Royal Plymouth Corinthian Yacht Club. Colvin, H.M (1982). History of the King's Works 1485-1600. HMSO, London. Historic England (2015). Firestone Bay Tower, List entry 1129987. Historic England, London. Historic England (2005). Fishers Nose Artillery Tower, List entry 1386214. Historic England, London. Historic England (1998). Blockhouse, City of Plymouth, List entry 1129960. Historic England, London. Historic England (1987). Mount Edgcumbe, List entry 1000134. Historic England, London. Historic England (1948). Blockhouse at the Garden Battery, List entry 1004497. Historic England, London. Hollar, W (1643). Map of Plymouth. Leland, J (1540). Map of Plymouth. Saunders, A (1997). Channel Defences. English Heritage, London. Four of the six Tudor blockhouses built around Plymouth Sound survive. 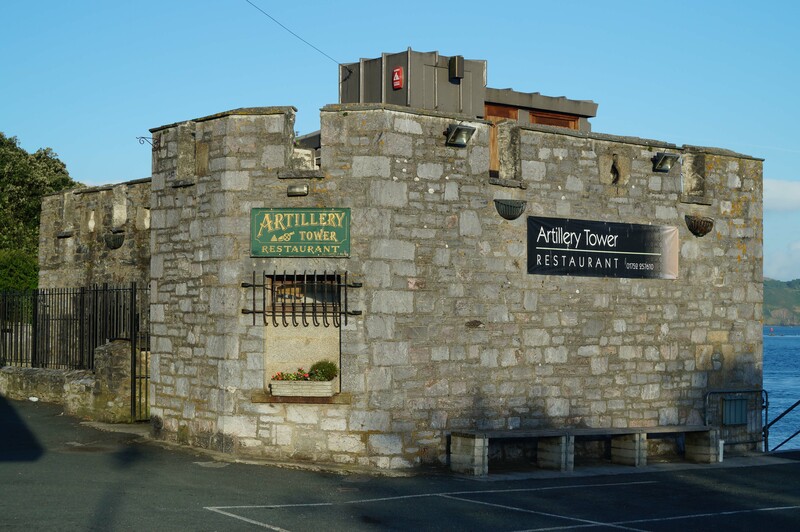 The Firestone Bay artillery tower is a cafe/bar. The Mount Edgcumbe tower is fully accessible within Mount Edgcumbe Country Park (and is found next to the Victorian Garden Battery). The exterior of Devil’s Point can viewed at any reasonable time but there is no access to the interior. 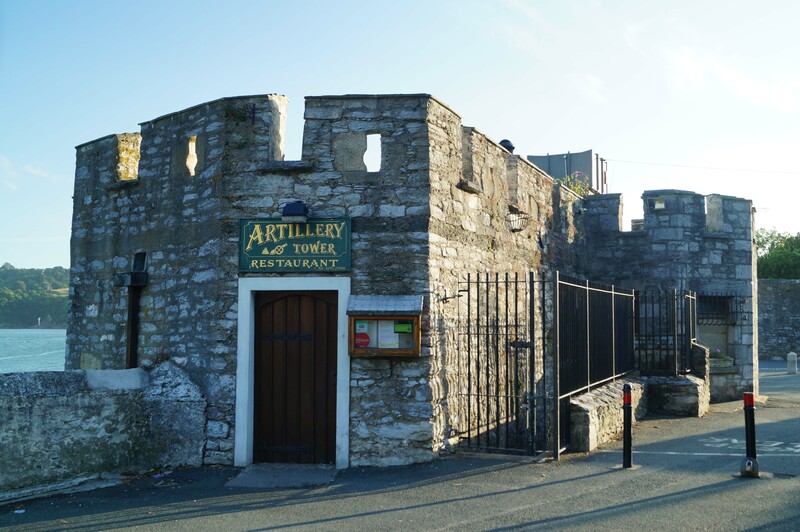 Fisher’s Nose artillery tower is occupied by the Royal Plymouth Corinthian Yacht Club. Mount Edgcumbe Artillery Tower. The rectangular tower was probably built no later than 1540. It operated in conjunction with the tower at Devil's Point to control the Narrows, the 300 metre wide stretch of water that controlled access to the Hamoaze. 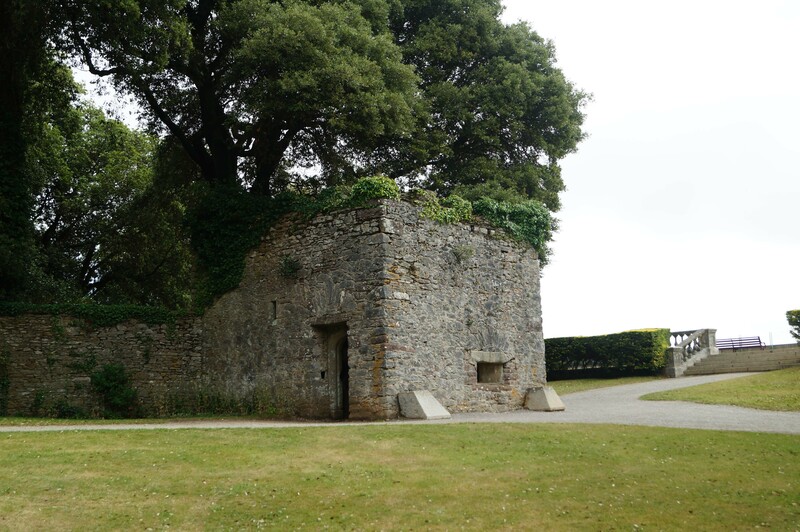 During the Civil War, the blockhouse was occupied by Royalist troops and used to fire upon Parliamentary ships attempting to resupply the besieged garrison of Plymouth. Devil's Point Artillery Tower. Devil's Point Blockhouse was constructed on the western most tip of a small peninsula. The two storey tower had four gun-ports facing to seaward. Although its artillery role was replaced by other structures in subsequent centuries, it was used as a machine gun post during the twentieth century. Firestone Bay Artillery Tower. This polygonal tower was built to prevent an assault on Stonehouse. It now serves as a cafe. Firestone Bay. The artillery tower guarded the beach and prevented a hostile force attacking Stonehouse. Fisher's Nose Artillery Tower. The rectangular tower overlooks a small natural harbour beneath Plymouth Hoe. It is not known when it was built but it was incorporated into the Tudor defensive scheme. The blockhouse was later integrated into the defences associated with Drake's Fort and the Royal Citadel (right). Mount Edgcumbe Artillery Tower. This is found within the grounds of Mount Edgcumbe National Park which is near Cremyll. There is a dedicated car park for visitors. Devil's Point and Firestone Bay Artillery Towers. Firestone Bay tower is found just off Admiralty Road / Durnford Street. Devil's Point is accessed from the coastal path. There is a large car park on Admiralty Road. Fisher's Nose Artillery Tower. The tower is located directly on the waterfront beneath Plymouth Hoe. There are various car parking options nearby including ample on-road parking (all pay and display).